Sea turtle nesting this year ended on a positive note. We had 3141 loggerhead, 6 green and 3 leatherback nests on project beaches. This is compared with 2183 loggerhead, 1 green and 3 leatherback nests in 2009. Please visit our online nest database to view more in-depth summary information about the 2010 season: http://www.seaturtle.org/nestdb/. Genetic samples were collected from each of the loggerhead nests and 22.2% of this data has been analyzed. We are expecting most of this data to be completed before next season, but so far the results are exciting. Results from this study are available to you on the internet: http://www.seaturtle.org/nestdb/genetics.shtml?program=2. To date, we have had a turtle with a distance of over 650 kilometers between successive nests. She nested on Blackbeard Island, GA on June 17th and then nested on Cape Hatteras, NC on July 7th. We are learning that our nesting loggerheads are moving around much more than originally thought. In 2010, we had 100% participation in this study by nest protection projects in South Carolina. This level of participation was critical to the success of this project. We plan to continue this project in 2011 and certainly hope that your project plans to participate again. There were 138 sea turtle strandings in 2010 (67 loggerheads, 44 Kemp’s ridleys, 21 greens, four leatherbacks and two unknown). One half of these sea turtles stranded in Charleston County. 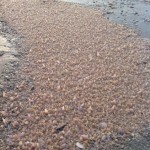 Stranding numbers have averaged around 100 per year over the past ten years. 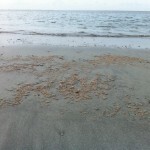 To learn more about strandings in South Carolina please visit: http://www.seaturtle.org/strand/. As always we ask that you visit our web site frequently, we keep it up-to-date with current information. Please encourage others to learn about our program and to report sea turtle sightings on our web site as well. Our web site address is http://www.dnr.sc.gov/seaturtle/. We also have a SC sea turtle community email. If you would like to join, please send an email to coastbio@dnr.sc.gov. Finally, look out for our 2010 Loggerheadlines newsletter which will be published in January. We appreciate all that you do for sea turtle conservation in South Carolina and hope you have a warm and happy holiday season. 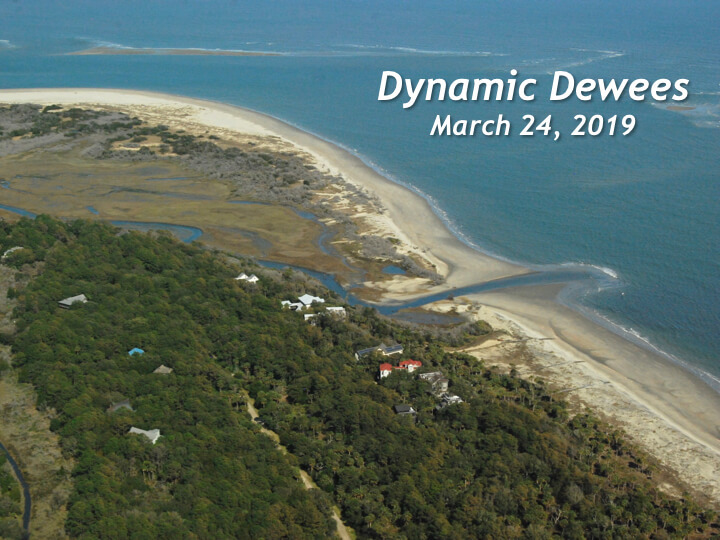 It’s been a dynamic year on the Dewees beach front, in March / April it looked like we were headed for a horrible year of more and more erosion. And then things changed. 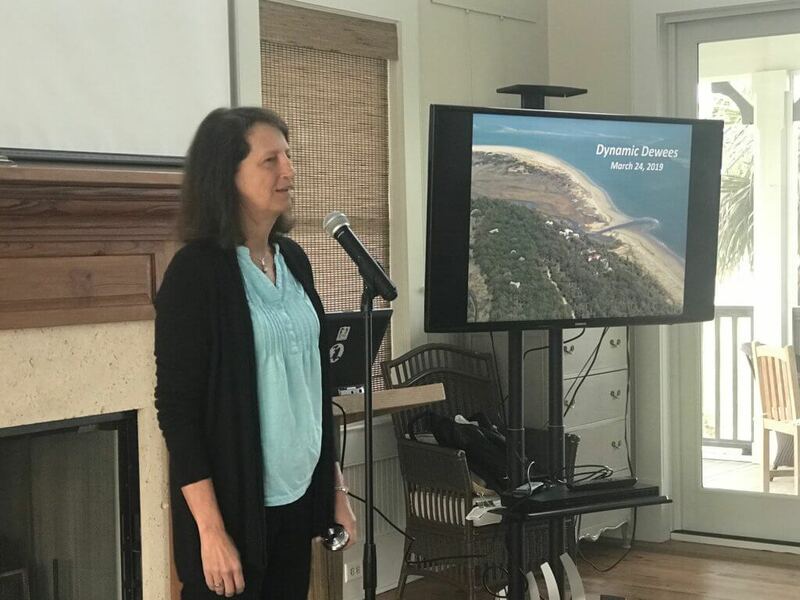 The sand from the sandbar attached to the island north of Osprey Walk has started spreading out and welding onto the beach front, just like our friend Professor Leslie Sauter, the coastal geology expert from the College of Charleston, said it would. We’ve seen fairly steady accretion (the opposite of erosion) since then. It doesn’t happen at a steady rate. It ebbs and flows. One week you might see new sand, only to see it gone the next. Then a month later there’s a new high sand mark. Hurricane season and winter storms can have a dramatic effect. When you only get to the island a few times a year, the changes between visits can be dramatic. 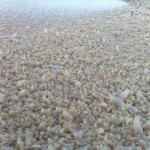 Did the waves from [Hurricane] Igor have much of an effect on the amount of sand on the beach? Yes, but in a good way. As measured at my boardwalk, here is the sequence. In March, you could almost walk under my boardwalk. The sand was 10” below step five. 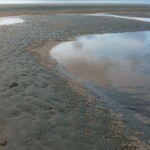 Before Hurricane Earl, the sand was between step three & four; but the tides washed away sand back down to step four. Today after Hurricane Igor, the sand nearly covers step three … Igor washed sand onto the beach! Since spring, I’d guess over two feet of sand has accreted at my boardwalk. Gary confirmed last night at the Turtle Team Party that the sand is still covering steps three. 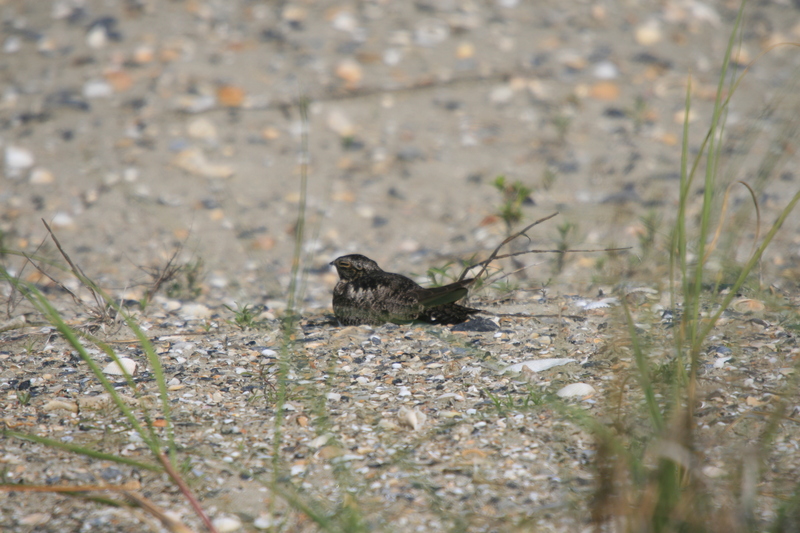 If you haven’t noticed the funny, electrical sound of the common nighthawk out on the beach, be sure to listen closely. Nighthawks are identifiable by their white wing patches, and you can often see them on the dead trees at Osprey Walk, or the posts at Osprey or on the post where you turn off Pelican Flight lane to get to Huyler House walk. We have seen them nesting at both ends of the island in the springtime, and they are fairly common summer residents. We assume they are beginning to migrate south for the winter. They are pretty well-camouflaged birds with long wings and somewhat erratic flight. They make buzzes and booms to the point where you may be convinced that a small jet is whirling around. This is a link to a great video from the Cornell Lab of Ornithology, which gives you a great example of their sounds and flight patterns. This meteor shower has been observed for about 2000 years. They are so named because they appear to originate in the constellation of Perseus. The meteor shower happens when a stream of dust and debris from the Swift-Tuttle Comet intersects with our atmosphere. it peaks under a moonless sky… You’ll see the brightest meteors easily, and from a dark site you’ll also count quite a few faint shooting stars. We see Perseid meteors because the shower’s parent comet, 109P/Swift-Tuttle, has ejected dust grains along its path during numerous trips through the solar system. Each year around this time, Earth passes through the debris stream, and we experience a meteor shower. Perseid meteors are fast — their speeds top 125,000 mph (200,000 km/h) — and many leave smoke trails that can last several seconds. Many Perseids are also bright and usually appear white or bluish-white. August 12 and 13 aren’t the only dates you can observe Perseids. This year, the shower’s activity started around July 17, and it will continue through August 24. Of course, you’ll see fewer meteors the farther you observe from the peak date. Brucie Harry sent us this link to an article from Edmund Scientific. And here’s a link to stardate.org with more information. 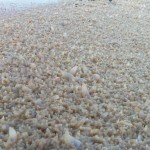 If you are on the beach, watch your step; there are nests ready for hatching. Use a red flashlight if you need one; it won’t hurt your night vision and it won’t interfere with wildlife. We also found one website which said don’t consume any alcohol– it interferes with night vision. If you manage to get a great photo, please don’t hesitate to send it in for publication! moon jelly or sea nettle? 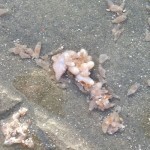 We are definitely not the only ones noticing more jellyfish on the beach. 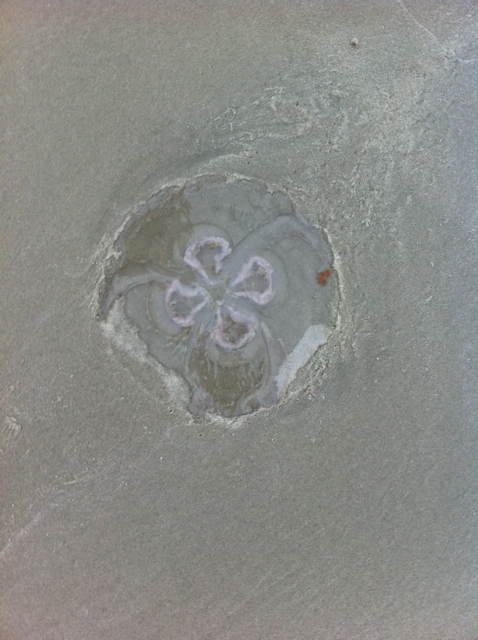 Last week, the Post and Courier had two separate articles about jellyfish on Folly Beach and the Isle of Palms. We have noticed more complaints of stings on our beaches, and it appears that there are even random tentacles in the waters. To some, jellyfish may appear to have no apparent value, but they are, in fact, a very important part of the marine food web. Jellyfish are carnivorous, feeding mostly on a variety of zooplankton, comb jellies and occasionally other jellyfish. Larger species, however, are capable of capturing and devouring large crustaceans and other marine organisms. 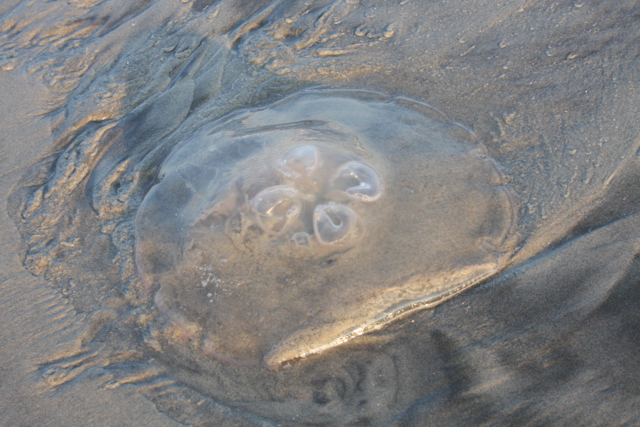 Jellyfish are themselves preyed upon by spadefish, sunfish, sea turtles and other marine organisms. The somewhat benign kinds of jellyfish in our waters are usually cannonball or mushroom jellies, which don’t sting much, moon jellies, which have a large bell and short tentacles, and comb jellies, which don’t sting at all. The more venomous ones, and therefore more dangerous, include sea wasps and sea nettles, box jellies, and portuguese men-o-war. 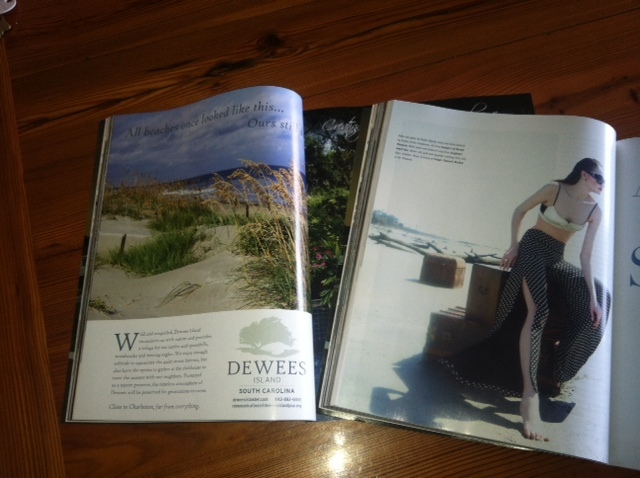 These all seem to have been sighted at Kiawah and Folly Beach recently, so keep your eyes open here. 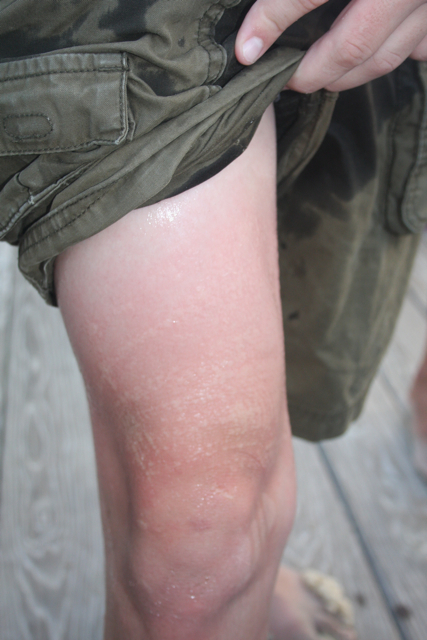 Primary first aid for any jellyfish sting should be to minimize the number of nematocysts discharging into the skin and to reduce the harmful effects of the venom. If stung by a jellyfish, the victim should carefully remove the tentacles that adhere to the skin by using sand, clothing, towels, seaweed or other available materials. As long as tentacles remain on the skin, they will continue to discharge venom. 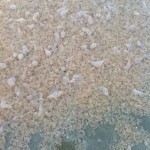 A variety of substances have been used to reduce the effects of jellyfish stings. Meat tenderizer, sugar, vinegar, plant juices and sodium bicarbonate have all been used with varying degrees of success. Methylated spirits and other forms of alcohol formerly recommended for inhibiting stinging cells actually stimulate them and may increase pain and cause severe skin reactions. Picric acid and human urine also cause a discharge of nematocysts and should not be used. Victims of serious stings should make every effort to get out of the water as soon as possible to avoid drowning. If swelling and pain from more serious stings persist, prompt medical attention should be sought. Recovery periods can vary from several minutes to several weeks. 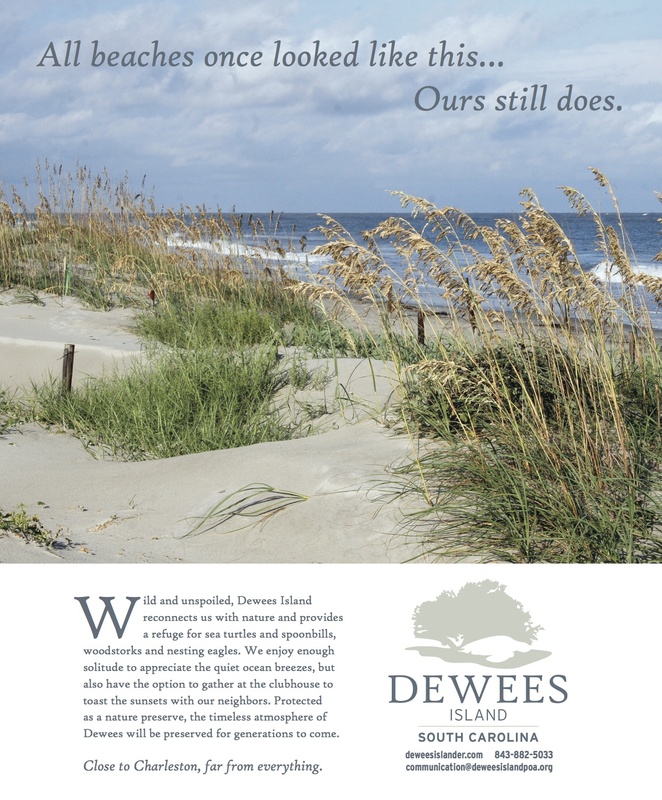 The Dewees Island Turtle Team announced that there’ll be an Inventory for Nest #2 on Tuesday August 3rd at 7:30PM. Nest #2 is located north of Osprey Walk about half way between Osprey Walk and the north end of the island. It’s north of where the sandbar attaches to the island. 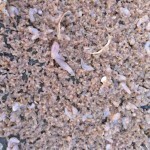 If any live hatchlings are found in the nest, they will be released into the ocean. 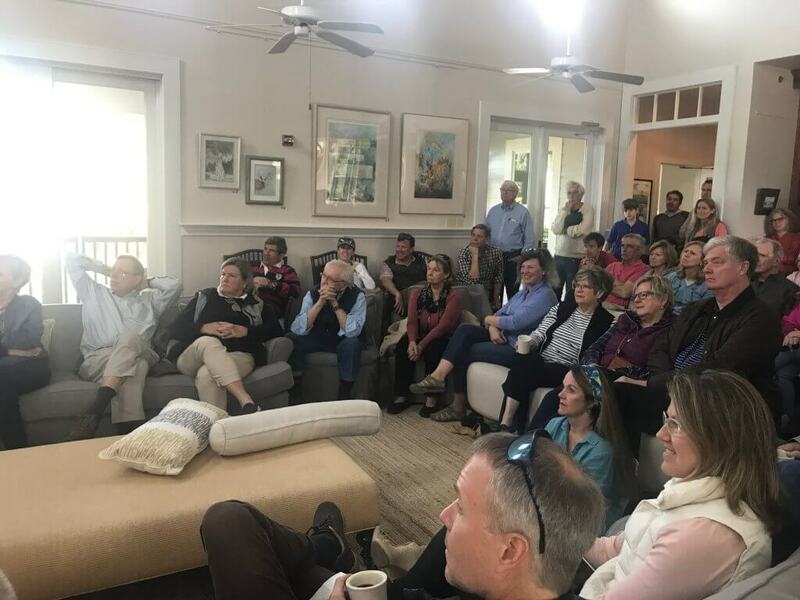 On Saturday and Sunday morning, the tidal pools and flats at the south end of Dewees Island beach have been covered with striped sea cucumbers. 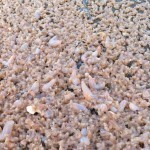 At first they look like rice crispies that have been left in milk too long. 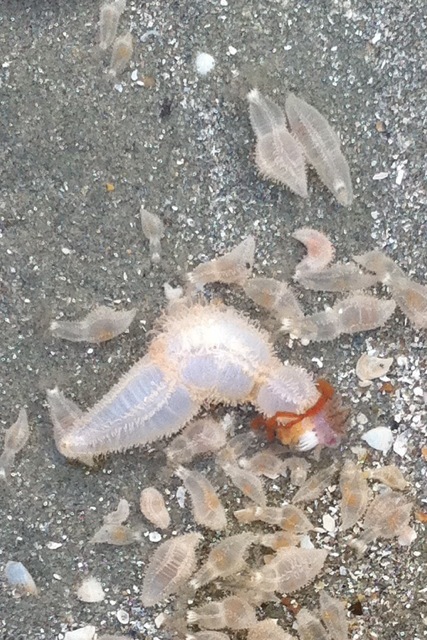 On closer inspection, you see millions (literally millions) of individual sea cucumbers. Perhaps 5% are large and the rest are small. They are alive and moving in place. If a large one is taken out of the water, it squirts water out and decreases in volume. We assume they are reproducing. Sea cucumbers tend to have separate sexes. Spawning behavior tends to be seasonal. Many sea cucumbers on the Great Barrier Reef spawn during the mass spawning events seen in November. During spawning, sea cucumbers travel to the top of reef structures and release their gametes into the surrounding currents. A range of developmental modes is seen among sea cucumbers. Development via feeding larvae (Planktotrophy) or non-feeding larvae (lecithotrophy) occurs in a large number of species. In others, embryos and larvae may be brooded by the female. The feeding larva of sea cucumbers (when present) is very distinctive and is called an auricularia larva. 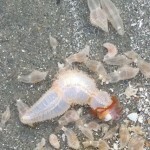 It swims for about 10-40 days before settling on the bottom and metamorphosing into a baby sea cucumber. 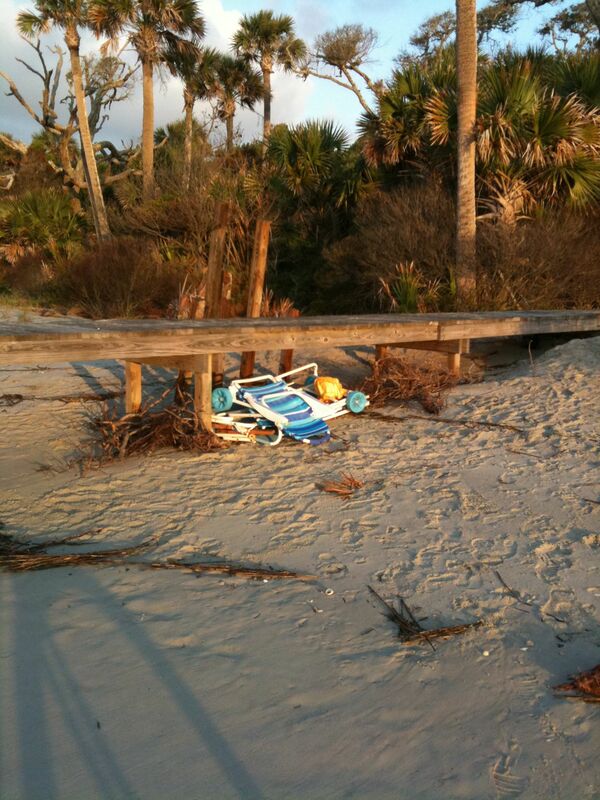 The Dewees Island Property Owners Association asks all members of the community to remove their beach toys, chairs, tents, and other items each day. That way the beach is as pristine as possible for everyone. Merely tucking them under a beach access path is not sufficient. Beach items should be taken back to your house. The items at in the photo below were photographed at dawn on the morning of 5/30. They appeared to have been left overnight.